2014 Kia Forte LX Bright Silver CARFAX One-Owner. Welcome to Plaza Auto Mall, where you will find the very best used, and certified pre-owned vehicles from exceptional manufacturers, right in the heart of Brooklyn. Our family of dealerships offers an astounding selection of top-notch Certified vehicles from our brands; Toyota, Scion, Honda, Acura, Hyundai, and Kia, as well as excellent used vehicles from a wide array of other manufactures. 25/36 City/Highway MPG Odometer is 42681 miles below market average! Awards: * 2014 KBB.com 10 Tech-Savviest Cars Under $20,000 * 2014 KBB.com Brand Image Awards Financing Available. Recent Arrival! Certified. 2016 Kia Forte LX Aurora Black CARFAX One-Owner. Clean CARFAX. Kia Certified Pre-Owned Details: * Powertrain Limited Warranty: 120 Month/100,000 Mile (whichever comes first) from original in-service date * 164 Point Inspection * Limited Warranty: 12 Month/12,000 Mile (whichever comes first) "Platinum Coverage" from certified purchase date * Vehicle History * Roadside Assistance * Includes Rental Car and Trip Interruption Reimbursement * Warranty Deductible: $50 * Transferable Warranty Welcome to Plaza Auto Mall, where you will find the very best used, and certified pre-owned vehicles from exceptional manufacturers, right in the heart of Brooklyn. Our family of dealerships offers an astounding selection of top-notch Certified vehicles from our brands; Toyota, Scion, Honda, Acura, Hyundai, and Kia, as well as excellent used vehicles from a wide array of other manufactures. 26/39 City/Highway MPG Odometer is 587 miles below market average! Financing Available. 2016 Kia Forte LX Silky Silver CARFAX One-Owner. Welcome to Plaza Auto Mall, where you will find the very best used, and certified pre-owned vehicles from exceptional manufacturers, right in the heart of Brooklyn. Our family of dealerships offers an astounding selection of top-notch Certified vehicles from our brands; Toyota, Scion, Honda, Acura, Hyundai, and Kia, as well as excellent used vehicles from a wide array of other manufactures. 26/39 City/Highway MPG Odometer is 13832 miles below market average! Financing Available. Certified. 2017 Kia Forte S Currant Red CARFAX One-Owner. Clean CARFAX. Kia Certified Pre-Owned Details: * Includes Rental Car and Trip Interruption Reimbursement * Powertrain Limited Warranty: 120 Month/100,000 Mile (whichever comes first) from original in-service date * Warranty Deductible: $50 * Roadside Assistance * Limited Warranty: 12 Month/12,000 Mile (whichever comes first) "Platinum Coverage" from certified purchase date * Transferable Warranty * Vehicle History * 164 Point Inspection Welcome to Plaza Auto Mall, where you will find the very best used, and certified pre-owned vehicles from exceptional manufacturers, right in the heart of Brooklyn. Our family of dealerships offers an astounding selection of top-notch Certified vehicles from our brands; Toyota, Scion, Honda, Acura, Hyundai, and Kia, as well as excellent used vehicles from a wide array of other manufactures. 29/38 City/Highway MPG Odometer is 9783 miles below market average! Awards: * 2017 KBB.com 10 Most Awarded Brands Financing Available. Certified. 2016 Kia Optima LX Snow White Pearl CARFAX One-Owner. Clean CARFAX. black Cloth. Kia Certified Pre-Owned Details: * Vehicle History * Includes Rental Car and Trip Interruption Reimbursement * Powertrain Limited Warranty: 120 Month/100,000 Mile (whichever comes first) from original in-service date * 164 Point Inspection * Warranty Deductible: $50 * Limited Warranty: 12 Month/12,000 Mile (whichever comes first) "Platinum Coverage" from certified purchase date * Transferable Warranty * Roadside Assistance Welcome to Plaza Auto Mall, where you will find the very best used, and certified pre-owned vehicles from exceptional manufacturers, right in the heart of Brooklyn. Our family of dealerships offers an astounding selection of top-notch Certified vehicles from our brands; Toyota, Scion, Honda, Acura, Hyundai, and Kia, as well as excellent used vehicles from a wide array of other manufactures. 24/35 City/Highway MPG Odometer is 13520 miles below market average! Awards: * 2016 IIHS Top Safety Pick+ * 2016 KBB.com 10 Best Sedans Under $25,000 * 2016 KBB.com 16 Best Family Cars * 2016 KBB.com Best Buy Awards Winner * 2016 KBB.com Best Auto Tech Award Finalist * 2016 KBB.com 10 Most Awarded Cars * 2016 KBB.com 10 Most Comfortable Cars Under $30,000 Financing Available. Certified. 2019 Kia Rio LX Clear White CARFAX One-Owner. Clean CARFAX. black Cloth. Kia Certified Pre-Owned Details: * Powertrain Limited Warranty: 120 Month/100,000 Mile (whichever comes first) from original in-service date * 164 Point Inspection * Vehicle History * Includes Rental Car and Trip Interruption Reimbursement * Roadside Assistance * Warranty Deductible: $50 * Limited Warranty: 12 Month/12,000 Mile (whichever comes first) "Platinum Coverage" from certified purchase date * Transferable Warranty Welcome to Plaza Auto Mall, where you will find the very best used, and certified pre-owned vehicles from exceptional manufacturers, right in the heart of Brooklyn. Our family of dealerships offers an astounding selection of top-notch Certified vehicles from our brands; Toyota, Scion, Honda, Acura, Hyundai, and Kia, as well as excellent used vehicles from a wide array of other manufactures. 28/37 City/Highway MPG Financing Available. Certified. 2019 Kia Soul Shadow Black CARFAX One-Owner. Clean CARFAX. Kia Certified Pre-Owned Details: * Limited Warranty: 12 Month/12,000 Mile (whichever comes first) "Platinum Coverage" from certified purchase date * 164 Point Inspection * Transferable Warranty * Roadside Assistance * Warranty Deductible: $50 * Vehicle History * Powertrain Limited Warranty: 120 Month/100,000 Mile (whichever comes first) from original in-service date * Includes Rental Car and Trip Interruption Reimbursement Welcome to Plaza Auto Mall, where you will find the very best used, and certified pre-owned vehicles from exceptional manufacturers, right in the heart of Brooklyn. Our family of dealerships offers an astounding selection of top-notch Certified vehicles from our brands; Toyota, Scion, Honda, Acura, Hyundai, and Kia, as well as excellent used vehicles from a wide array of other manufactures. 24/30 City/Highway MPG Odometer is 3102 miles below market average! Financing Available. Certified. 2016 Kia Sportage LX Mineral Silver CARFAX One-Owner. AWD. Kia Certified Pre-Owned Details: * Transferable Warranty * Roadside Assistance * Warranty Deductible: $50 * Powertrain Limited Warranty: 120 Month/100,000 Mile (whichever comes first) from original in-service date * Vehicle History * Limited Warranty: 12 Month/12,000 Mile (whichever comes first) "Platinum Coverage" from certified purchase date * Includes Rental Car and Trip Interruption Reimbursement * 164 Point Inspection Welcome to Plaza Auto Mall, where you will find the very best used, and certified pre-owned vehicles from exceptional manufacturers, right in the heart of Brooklyn. Our family of dealerships offers an astounding selection of top-notch Certified vehicles from our brands; Toyota, Scion, Honda, Acura, Hyundai, and Kia, as well as excellent used vehicles from a wide array of other manufactures. 19/26 City/Highway MPG Awards: * JD Power Initial Quality Study (IQS) Financing Available. Certified. 2016 Kia Sportage EX Clear White CARFAX One-Owner. Clean CARFAX. Kia Certified Pre-Owned Details: * Transferable Warranty * Powertrain Limited Warranty: 120 Month/100,000 Mile (whichever comes first) from original in-service date * Includes Rental Car and Trip Interruption Reimbursement * Vehicle History * Limited Warranty: 12 Month/12,000 Mile (whichever comes first) "Platinum Coverage" from certified purchase date * Roadside Assistance * 164 Point Inspection * Warranty Deductible: $50 Welcome to Plaza Auto Mall, where you will find the very best used, and certified pre-owned vehicles from exceptional manufacturers, right in the heart of Brooklyn. Our family of dealerships offers an astounding selection of top-notch Certified vehicles from our brands; Toyota, Scion, Honda, Acura, Hyundai, and Kia, as well as excellent used vehicles from a wide array of other manufactures. 21/28 City/Highway MPG Awards: * JD Power Initial Quality Study (IQS) Financing Available. Certified. 2017 Kia Sportage LX Sparkling Silver AWD. Certification Program Details: Plaza Auto Mall Certified Welcome to Plaza Auto Mall, where you will find the very best used, and certified pre-owned vehicles from exceptional manufacturers, right in the heart of Brooklyn. Our family of dealerships offers an astounding selection of top-notch Certified vehicles from our brands; Toyota, Scion, Honda, Acura, Hyundai, and Kia, as well as excellent used vehicles from a wide array of other manufactures. Odometer is 3025 miles below market average! Awards: * 2017 KBB.com 10 Best All-Wheel-Drive Vehicles Under $25,000 * 2017 KBB.com 10 Best SUVs Under $25,000 * 2017 KBB.com Best Buy Awards * 2017 KBB.com 12 Best Family Cars * 2017 KBB.com 10 Most Awarded Cars * 2017 KBB.com 10 Most Awarded Brands Financing Available. Certified. 2018 Kia Optima S Snow White Pearl CARFAX One-Owner. Clean CARFAX. black Cloth. Kia Certified Pre-Owned Details: * 164 Point Inspection * Roadside Assistance * Includes Rental Car and Trip Interruption Reimbursement * Transferable Warranty * Limited Warranty: 12 Month/12,000 Mile (whichever comes first) "Platinum Coverage" from certified purchase date * Powertrain Limited Warranty: 120 Month/100,000 Mile (whichever comes first) from original in-service date * Warranty Deductible: $50 * Vehicle History Welcome to Plaza Auto Mall, where you will find the very best used, and certified pre-owned vehicles from exceptional manufacturers, right in the heart of Brooklyn. Our family of dealerships offers an astounding selection of top-notch Certified vehicles from our brands; Toyota, Scion, Honda, Acura, Hyundai, and Kia, as well as excellent used vehicles from a wide array of other manufactures. 23/32 City/Highway MPG Financing Available. Certified. 2017 Kia Optima EX Horizon Blue CARFAX One-Owner. Clean CARFAX. black Leather. Kia Certified Pre-Owned Details: * Warranty Deductible: $50 * Includes Rental Car and Trip Interruption Reimbursement * Vehicle History * Powertrain Limited Warranty: 120 Month/100,000 Mile (whichever comes first) from original in-service date * Limited Warranty: 12 Month/12,000 Mile (whichever comes first) "Platinum Coverage" from certified purchase date * Roadside Assistance * Transferable Warranty * 164 Point Inspection Welcome to Plaza Auto Mall, where you will find the very best used, and certified pre-owned vehicles from exceptional manufacturers, right in the heart of Brooklyn. Our family of dealerships offers an astounding selection of top-notch Certified vehicles from our brands; Toyota, Scion, Honda, Acura, Hyundai, and Kia, as well as excellent used vehicles from a wide array of other manufactures. 24/34 City/Highway MPG Odometer is 2601 miles below market average! Priced below KBB Fair Purchase Price! Awards: * 2017 KBB.com 10 Most Awarded Cars * 2017 KBB.com Best Family Sedans * 2017 KBB.com 10 Most Comfortable Cars Under $30,000 * 2017 KBB.com 10 Best Sedans Under $25,000 * 2017 KBB.com 10 Most Awarded Brands Financing Available. Certified. 2017 Kia Sorento LX Snow White Pearl Clean CARFAX. AWD. 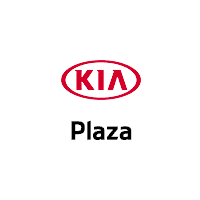 Certification Program Details: Plaza Auto Mall Certified Welcome to Plaza Auto Mall, where you will find the very best used, and certified pre-owned vehicles from exceptional manufacturers, right in the heart of Brooklyn. Our family of dealerships offers an astounding selection of top-notch Certified vehicles from our brands; Toyota, Scion, Honda, Acura, Hyundai, and Kia, as well as excellent used vehicles from a wide array of other manufactures. Odometer is 18374 miles below market average! Priced below KBB Fair Purchase Price! Awards: * JD Power Initial Quality Study (IQS) * 2017 KBB.com 10 Most Awarded Brands Financing Available. 2017 Kia Sorento LX Titanium Metallic Clean CARFAX. Welcome to Plaza Auto Mall, where you will find the very best used, and certified pre-owned vehicles from exceptional manufacturers, right in the heart of Brooklyn. Our family of dealerships offers an astounding selection of top-notch Certified vehicles from our brands; Toyota, Scion, Honda, Acura, Hyundai, and Kia, as well as excellent used vehicles from a wide array of other manufactures. 21/28 City/Highway MPG Odometer is 26434 miles below market average! Awards: * 2017 KBB.com 10 Most Awarded Brands Financing Available. Certified. 2016 Kia Sedona EX Bright Silver Metallic CARFAX One-Owner. Kia Certified Pre-Owned Details: * Limited Warranty: 12 Month/12,000 Mile (whichever comes first) "Platinum Coverage" from certified purchase date * 164 Point Inspection * Includes Rental Car and Trip Interruption Reimbursement * Roadside Assistance * Warranty Deductible: $50 * Powertrain Limited Warranty: 120 Month/100,000 Mile (whichever comes first) from original in-service date * Vehicle History * Transferable Warranty Welcome to Plaza Auto Mall, where you will find the very best used, and certified pre-owned vehicles from exceptional manufacturers, right in the heart of Brooklyn. Our family of dealerships offers an astounding selection of top-notch Certified vehicles from our brands; Toyota, Scion, Honda, Acura, Hyundai, and Kia, as well as excellent used vehicles from a wide array of other manufactures. Awards: * 2016 KBB.com Best Buy Awards Finalist * 2016 KBB.com 16 Best Family Cars Financing Available. Certified. 2017 Kia Sportage EX Snow White Pearl CARFAX One-Owner. Clean CARFAX. AWD. Kia Certified Pre-Owned Details: * 164 Point Inspection * Transferable Warranty * Includes Rental Car and Trip Interruption Reimbursement * Warranty Deductible: $50 * Vehicle History * Limited Warranty: 12 Month/12,000 Mile (whichever comes first) "Platinum Coverage" from certified purchase date * Powertrain Limited Warranty: 120 Month/100,000 Mile (whichever comes first) from original in-service date * Roadside Assistance Welcome to Plaza Auto Mall, where you will find the very best used, and certified pre-owned vehicles from exceptional manufacturers, right in the heart of Brooklyn. Our family of dealerships offers an astounding selection of top-notch Certified vehicles from our brands; Toyota, Scion, Honda, Acura, Hyundai, and Kia, as well as excellent used vehicles from a wide array of other manufactures. Odometer is 6786 miles below market average! Awards: * 2017 KBB.com 12 Best Family Cars * 2017 KBB.com 10 Best SUVs Under $25,000 * 2017 KBB.com 10 Most Awarded Cars * 2017 KBB.com Best Buy Awards * 2017 KBB.com 10 Best All-Wheel-Drive Vehicles Under $25,000 * 2017 KBB.com 10 Most Awarded Brands Financing Available. 2011 Toyota Corolla Gray CARFAX One-Owner. Welcome to Plaza Auto Mall, where you will find the very best used, and certified pre-owned vehicles from exceptional manufacturers, right in the heart of Brooklyn. Our family of dealerships offers an astounding selection of top-notch Certified vehicles from our brands; Toyota, Scion, Honda, Acura, Hyundai, and Kia, as well as excellent used vehicles from a wide array of other manufactures. Odometer is 38513 miles below market average! Awards: * 2011 KBB.com Brand Image Awards Financing Available. Recent Arrival! Certified. 2015 Hyundai Accent GLS White CARFAX One-Owner. Clean CARFAX. gray Cloth. Hyundai Certified Pre-Owned Details: * Transferable Warranty * 150+ Point Inspection * Vehicle History * Warranty Deductible: $50 * Includes 10-year/Unlimited mileage Roadside Assistance with Rental Car and Trip Interruption Reimbursement; Please see dealers for specific vehicle eligibility requirements. 10-Year/100,000 Mile Hybrid/EV Battery Warranty * Powertrain Limited Warranty: 120 Month/100,000 Mile (whichever comes first) from original in-service date * Limited Warranty: 60 Month/60,000 Mile (whichever comes first) from original in-service date * Roadside Assistance Welcome to Plaza Auto Mall, where you will find the very best used, and certified pre-owned vehicles from exceptional manufacturers, right in the heart of Brooklyn. Our family of dealerships offers an astounding selection of top-notch Certified vehicles from our brands; Toyota, Scion, Honda, Acura, Hyundai, and Kia, as well as excellent used vehicles from a wide array of other manufactures. 26/37 City/Highway MPG Odometer is 25277 miles below market average! Awards: * JD Power Initial Quality Study (IQS) Financing Available. Certified. 2016 Hyundai Accent SE Pearl Clean CARFAX. gray Cloth. Hyundai Certified Pre-Owned Details: * Powertrain Limited Warranty: 120 Month/100,000 Mile (whichever comes first) from original in-service date * Roadside Assistance * Transferable Warranty * 150+ Point Inspection * Warranty Deductible: $50 * Limited Warranty: 60 Month/60,000 Mile (whichever comes first) from original in-service date * Includes 10-year/Unlimited mileage Roadside Assistance with Rental Car and Trip Interruption Reimbursement; Please see dealers for specific vehicle eligibility requirements. 10-Year/100,000 Mile Hybrid/EV Battery Warranty * Vehicle History Welcome to Plaza Auto Mall, where you will find the very best used, and certified pre-owned vehicles from exceptional manufacturers, right in the heart of Brooklyn. Our family of dealerships offers an astounding selection of top-notch Certified vehicles from our brands; Toyota, Scion, Honda, Acura, Hyundai, and Kia, as well as excellent used vehicles from a wide array of other manufactures. 26/37 City/Highway MPG Awards: * JD Power Initial Quality Study (IQS) * 2016 KBB.com 5-Year Cost to Own Awards Financing Available. Recent Arrival! 2010 Honda Accord EX-L 3.5 Blue Clean CARFAX. 3.5L V6 SOHC i-VTEC 24V, Gray Leather. Welcome to Plaza Auto Mall, where you will find the very best used, and certified pre-owned vehicles from exceptional manufacturers, right in the heart of Brooklyn. Our family of dealerships offers an astounding selection of top-notch Certified vehicles from our brands; Toyota, Scion, Honda, Acura, Hyundai, and Kia, as well as excellent used vehicles from a wide array of other manufactures. 19/29 City/Highway MPG Odometer is 13266 miles below market average! Financing Available.